SCLN’s Summary Compensation Table (p. 31) shows was the highest paid named executive officer (NEO) was CEO Friedhelm Blobel, Ph.D at about $1.6M in 2013. I’m using Yahoo! Finance to determine market cap ($271M) and Wikipedia’s rule of thumb regarding classification. SCLN is a small-cap company. According to Equilar (page 6), the median CEO compensation at small-cap corporations was $2.5 million in 2012, so SCLN is under that. SCLN shares underperformed the NASDAQ substantially over the one and two year periods, but met the average in the five year period. The SciClone Pharmaceuticals board does not include a fully independent compensation committee, raising concerns about the board’s effectiveness in overseeing the company’s CEO and other managers, a key board function, as well as its ability to design sufficiently rigorous incentives for executives. Because pay was below median and despite the problems noted by GMIAnalyst, I voted in favor of the pay package. I’m concerned that all members of the board but one are 64 or older. I’d like to see more diversity. More importantly, as reported by GMIAnalyst, none of the following directors own any shares in SCLN: Gregg Anthony LaPointe, Nancy T. Chang Ph.D., Richard J. Hawkins and Simon Li. Chang and Li might be forgiven, since they have only been on the board. I’m quite concerned that most directors hold only options given them for their service. If they aren’t willing to invest in our company, maybe we shouldn’t be either. I won’t be so forgiving next year. 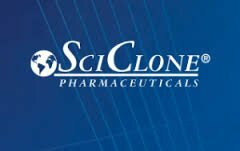 The SciClone Pharmaceuticals board of directors does not currently include a fully independent audit committee, a serious concern for company shareholders. We note that 99.7% of company boards in this market maintain a fully independent audit committee, which is critical in providing appropriate oversight of financial reporting. The company’s independent auditor is PricewaterhouseCoopers Zhong Tian LLP. The company has disclosed material weaknesses in its internal controls in the past two years. The company has a history of significant restatements, special charges, and/or write-offs in the past two years. Because of these deficiencies, I voted against the Chairman of the Board (Jon S. Saxe), members of the audit committee (which includes Simon Li among those I haven’t already named) and the auditor. Proposals of stockholders intended to be presented at our 2015 Annual Meeting of Stockholders must be received by Corporate Secretary, SciClone Pharmaceuticals, Inc., 950 Tower Lane, Suite 900, Foster City, California 94404, no later than December 31, 2014, and must satisfy the conditions established by the SEC for stockholder proposals to be included in our proxy statement for the meeting. SciClone Pharmaceuticals currently has a shareholder rights plan (poison pill) in force that will expire on 12-19-2016. From Yahoo! Finance: SciClone Pharmaceuticals, Inc.’s ISS Governance QuickScore as of Jun 1, 2014 is 7. The pillar scores are Audit: 10; Board: 6; Shareholder Rights: 5; Compensation: 6. Brought to you by Institutional Shareholder Services (ISS). Scores range from “1” (low governance risk) to “10” (higher governance risk). Each of the pillar scores for Audit, Board, Shareholder Rights and Compensation, are based on specific company disclosures.